The latest EC Directives have decreed that from 2012, Tyre Pressure Monitoring Systems (TPMS) will form part of the MOT test. Leicestershire based Performance Wheels has geared up for this already and is already carrying a huge selection of replacement sensors for all passenger cars on the shelf, along with the essential trigger tools to allow garages and specialists to fit them. The latest commission directive, 2010/48/EU, states that from January 2012, any vehicle originally fitted with TPMS will have to have it fully operable in order to pass the annual MOT test. This will then mean that even one faulty sensor will be enough to score a 'fail'. Sensor replacement has always meant that, historically, most owners have then had to go cap in hand to their local main dealer to source spare parts - with the associated cost and labour charges - but Performance Wheels complete online solution, Tyresensors.com, offers solutions to both the trade and end user to allow them to purchase the same OEM sensors at a fraction of the dealer cost. 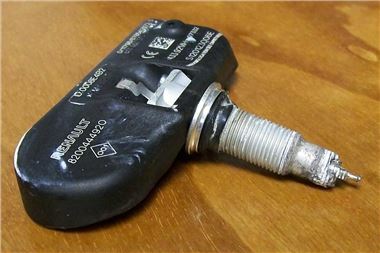 "It's easy to see how an otherwise perfectly sound car could fail an MOT test on this one small detail," explained Tyresensors.com Managing Director. "It's up to switched-on garages, tyrebays and retailers to ensure that they can provide a cost-effective solution at the time of testing. Our range of sensors and trigger tools will allow them to effect a solution in minutes, retaining the customer and providing a complete service." The Tyresensors.com website houses sensors for every commercially available car in the UK, plus all the necessary hardware and tools to make them work. In most cases, sensors are available from stock for next day delivery. For more details, please visit the site.